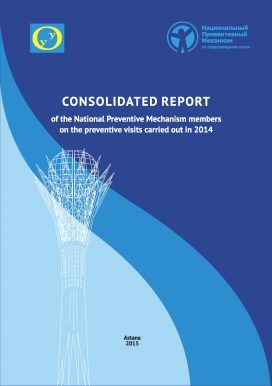 In May, the National Preventive Mechanism of Kazakhstan and the Ombudsman’s Office launched their consolidated annual report for 2014. The NPM was established in law in July 2013 and started carrying out monitoring visits in Spring 2014. This report explains the development of the NPM and reports on conditions of detention in the institutions under the mandate of the NPM visited during 2014. The report is available in English and Russian below.